Mice that carry additional copies of genes comparable to those present on human chromosome 21 have been shown to perform better on memory tests when treated with drugs that target brain function. Could this be an important break-through in the search for pharmacological therapies to assist people with Down syndrome? 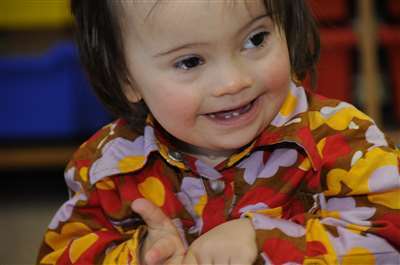 Down syndrome's genetic origin is clear. However, exactly how these genes influence development is not well understood. Improving our understanding of brain development may inform more effective behavioural and educational interventions and may also identify effective pharmacological therapies to assist people with Down syndrome. One strategy for investigating genetic influences on development is to examine the actions of genes in other species. The most extensively studied animal 'model' of human trisomy 21 is the Ts65Dn mouse. The Ts65Dn mouse strain carries an extra copy of a part of mouse chromosome 16 that contains a similar DNA sequence to a stretch found on human chromosome 21. A number of features observed in these mice show some similarities to characteristics that are common among people with Down syndrome. These include certain anatomical features (such as aspects of facial shape), neuroanatomical observations (such as differences in the connections between certain brain cells) and broadly comparable behavioural characteristics (including some apparent learning difficulties)[1,2]. Studies of Ts65Dn mice have identified problems with the 'strengthening' of connections between brain cells in some areas of the hippocampus - a part of the brain that is linked with aspects of learning and memory. This 'strengthening' of connections between brain cells (known as 'long-term potentiation') is widely thought to support memory formation. These studies of Ts65Dn mice have suggested that the problems with long-term potentiation are due to the over-inhibition of signals between these brain cells which are regulated by the neurotransmitter gamma-aminobutyric acid (GABA). Now, researchers at Stanford University have investigated the effects of drugs (known as GABAA antagonists) that decrease the effects of the inhibitory GABA neurotransmitter in Ts65Dn mice. The first two GABAA antagonists tested were picrotoxin and bilobalide. 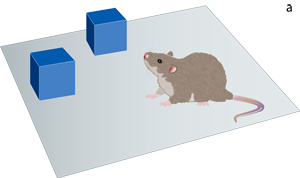 After treatment for two weeks, the mice were tested on a novel object recognition task. This test records the time spent exploring familiar and novel objects and is used as a measure of object recognition memory (FIGURE 1). Picrotoxin and bilobalide were each shown to improve novel object recognition with the Ts65Dn mice achieving test scores similar to those achieved by typical mice. 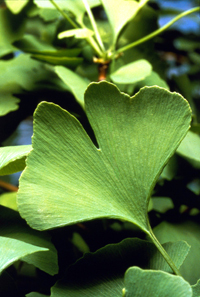 The second of the drugs tested on mice in this study (bilobalide) is a substance that is found in Ginkgo biloba leaves. Ginkgo biloba leaf extracts are used by some people hoping to improve memory, prevent dementia or treat a variety of health conditions. There is little evidence to support any of these uses. Side effects of Ginkgo may include headaches, stomach upsets, dizziness and headaches. A recent systematic review concluded that there is "no convincing evidence that Ginkgo biloba is efficacious for dementia and cognitive impairment". One large trial is currently underway to examine effects on the onset of dementia and incidence of cardiovascular diseases. It has been suggested that the over-inhibition hypothesis tested in this study supports the use of Ginkgo biloba with people with Down syndrome and anecdotal reports of improved functioning in children receiving Ginkgo are becoming widespread on the Internet. As with similar claims in the past for various vitamin and mineral therapies, piracetam and other 'alternative' therapies, these suggestions need to be treated with caution. The science, to date, does not support the use of any of these proposed 'treatments'. Unfortunately, picrotoxin is not considered a good candidate for use in humans and bilobalide has not been approved for use by the US Food and Drug Administration (FDA), so the researchers then tried another GABAA antagonist - pentylenetetrazole. Using pentylenetetrazole, the researchers again observed improvements in object recognition tests among treated Ts65Dn mice. 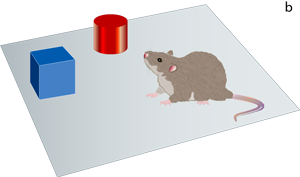 They also observed improvements on a spontaneous alternation task (used to measure spatial memory) in treated Ts65Dn mice. Furthermore, when tested again 2 months after the initial treatment had ended, the previously-treated Ts65Dn mice retained their improved object recognition performance. The authors of the study conclude that these results support the idea that over-inhibition is involved in certain learning problems exhibited by Ts65Dn mice and, by implication, perhaps by people with Down syndrome. They also discuss the possible clinical use of these drugs in humans. Pentylenetetrazole has previously been used to treat psychiatric disorders in humans, but it is known to cause seizures and the approval for its use was withdrawn in the USA in 1982. However, the study authors note that pentylenetetrazole does appear to be safe at low doses. These results are exciting and illustrate the potential of neuropsychological research to improve our understanding of Down syndrome. However, whilst this research continues, the authors note that it is too early to be certain that these drugs, or similar drugs, will prove to be effective for people with Down syndrome. Further work is required to examine the precise mechanisms by which the drugs are acting and the consequences for the hippocampus and other parts of the brain of repeated treatment in mice and in humans. Therefore, at this time, the use of substances thought to have similar actions (but not subjected to rigorous clinical trials demonstrating efficacy or safety) cannot be recommended (BOX 1). Frank Buckley and Ben Sacks are at Down Syndrome Education International, Portsmouth, Hampshire, UK. Patterson D, Costa A. Down syndrome and genetics - a case of linked histories. Nature Reviews Genetics. 2005;6;137-147. Sérégaza Z, Roubertoux PL, Jamon M, Soumireu-Mourat B. Mouse models of cognitive disorders in trisomy 21: a review. Behaviour Genetics. 2006;36(3);387-404. Morris, RG. Elements of a neurobiological theory of hippocampal function: the role of synaptic plasticity, synaptic tagging and schemas. European Journal of Neuroscience. 2006;23(11);2829-2846. Kleschevnikov AM, Belichenko PV, Villar AJ, Epstein CJ, Malenka RC, Mobley WC. Hippocampal long-term potentiation suppressed by increased inhibition in the Ts65Dn mouse, a genetic model of Down syndrome. Journal of Neuroscience. 2004;24(37);8153-8160. Fernandez F, Morishita W, Zuniga E, Nguyen J, Blank M, Malenka RC, Garner CC. Pharmacotherapy for cognitive impairment in a mouse model of Down syndrome. Nature Neuroscience. 2007;10(4);411-3. Clark RE, Martin SJ. Interrogating rodents regarding their object and spatial memory. Current Opinion in Neurobiology. 2005;15(5);593-598. Birks J, Grimley Evans J. Ginkgo biloba for cognitive impairment and dementia. Cochrane Database of Systematic Reviews 2007, Issue 2. Art. No. : CD003120.